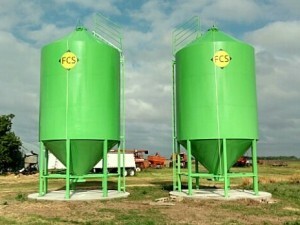 With our passion for innovation and design, FCS Manufacturing strives to be your go-to manufacturer for custom designed and built Smoothwall Hopper bins. With over 30 years in designing and manufacturing, we have fabricated very unique projects and believe that we can bring value to your project in building, and in designing the perfect solution for you. Our desire is to work with you and assist you in the design of custom storage bins, then build and deliver a completed product ready to set in place. walkways and landings- provide safe access to doors,etc. 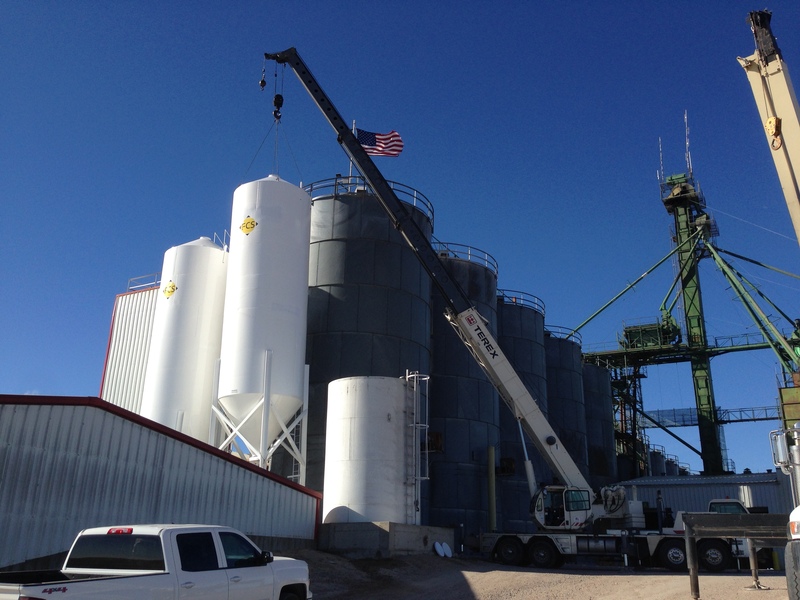 special size door openings- doors to fit over a roller mill, conveyor, etc. We have built Overhead Load-out bins to replace rusted out corrugated bins. This saves the cost of having to put in a whole new structure and bin. Bins such as a wet-grain holding bin or a fertilizer bin require a special lining to ensure the bin will not rust out. We can have a 2 part Epoxy lining for those applications. This lining is very hard, and slick so that the product will easily slide and not wear out the liner. We also have the capability to paint custom colors and provide custom logos! We desire to be your partner in designing the exact bin for your needs, and then deliver a completed product ready to set in place.